Here's what you'll find in Yasmin Khan's kitchen. Yasmin Khan, author of The Saffron Tales: Recipes from the Persian Kitchen, is constantly inspired by her family's Iranian heritage, which is evident throughout her London kitchen. She shared her five kitchen essentials when she stopped by the F&W Test Kitchen this week to make her Persian Love Cake. Like many of us, Khan's favorite piece of cookware is also her most versatile. "My go-tos are definitely my cast irons pots, especially my Dutch oven," she says. "I use it a lot at home to make Persian stews and things like that." To get the most out of one of her favorite ingredients, Khan swears by this simple but effective kitchen tool. "I love my mortar and pestle, especially for grinding spices like saffron," she explains. "Iran is the largest saffron producer in the world and we prepare it by grinding the stamens with sugar and then adding a few tablespoons of warm water to make this beautiful, scarlet elixir." "No matter what, I always have pomegranate molasses on hand," says. "My grandmother always used to make a bunch of varieties of pomegranate molasses and now I put it in everything from soups to stir fry to salad dressings. I basically use it anytime that I need something sweet and tangy, like I would balsalmic." As a cookbook author, Khan has a lot of favorites, but none one stands above the rest. 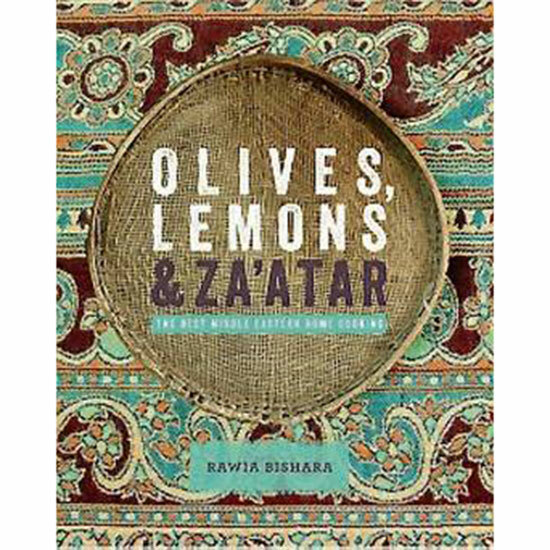 "Jerusalem: A Cookbook by Sami Tamimi and Yotam Ottolenghi is incredible and one of my favorites," she explains. "They’ve managed to introduce Middle Eastern cooking to the west in a way that no one else has managed to." "I really, really love jam and I always have a bunch of kinds in my refrigerator," she says. "Sour cherry, fig and quince are three of my favorites. The best, however, is in my cookbook and it’s a combination of carrot, rosewater and cardamom. It's super easy to make and just incredible."